May buy any quantity. May redeem any quantity for multiple nights. Valid for 2 adults. Kids stay for free. Advanced reservations required and subject to availability. 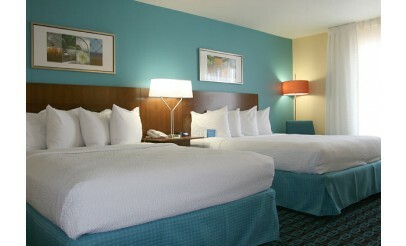 Call Fairfield Marriott before purchase to confirm the dates, so voucher will be honored by availability. Fairfield Marriott reserves the right to disallow voucher during busy seasons. Only redeemable at 594 W 4500 S, Salt Lake City, UT. Expires 4 months after purchase. See the terms that apply to all deals. Spending a relaxing night at the Fairfield Marriott and then start your day right with a delicious, complimentary breakfast. 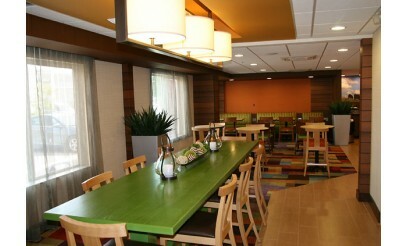 In addition, Fairfield Marriott features free cable, free WiFi, an indoor pool and Jacuzzi hot tub, and more.